The vertical cliff between Manali and Bara Bhanghal or the gateway to Manali from Bara Bhanghal is known as Kaliheni Pass. Kali means black and heni means a glacier. If we combine two words means black glacier. 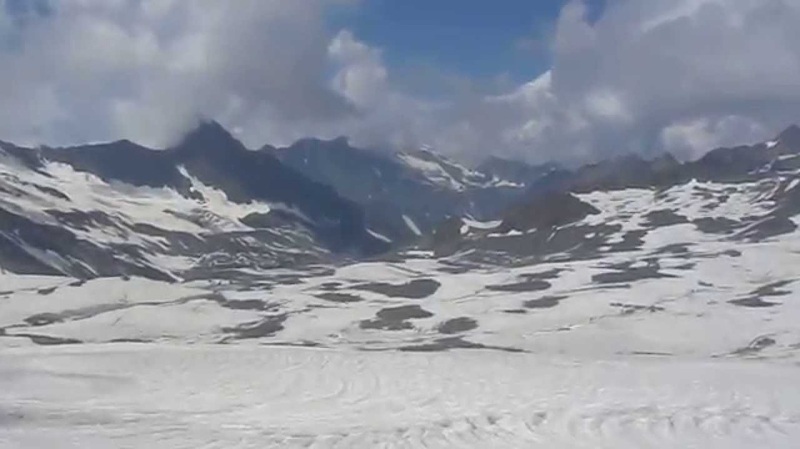 So, Kaliheni Pass means the pass of the black glacier. 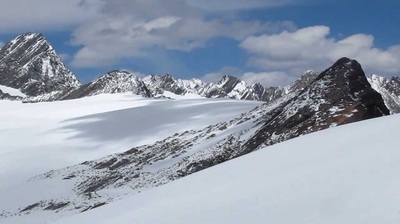 Kalihani Pass at an altitude of approximately (4830 meters) is a tricky negotiation through ice, snow on glacier, and moraine. A small and beautiful glacial lake waits on the descent of the pass. For Bara Bhanghal you can trek from Manali over Kaliheni Pass, Bir Billing over Thamsar Pass also have access from Bharmour. Whenever you leave Bara Bhanghal via Kaliheni pass, you are in real adventure and unforgettable trekking experience. 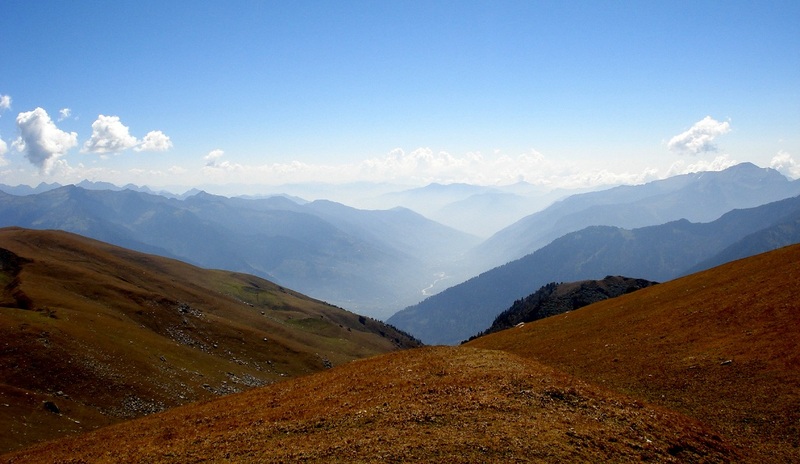 The enchanting & timeless trail, used by the shepherds of Himachal to access hidden pastures. 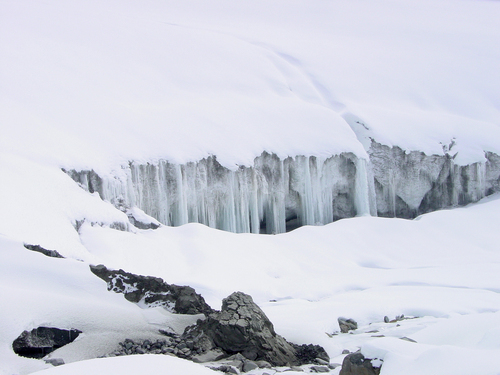 The trek takes you to upper reaches of the Pir Panjal range of the Himalaya and upto the lofty Kaliheni-Pass. 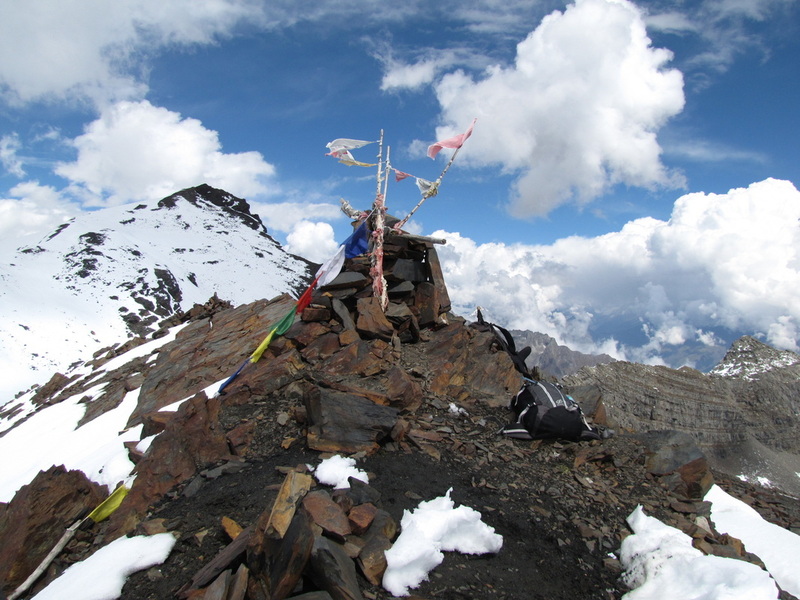 The trail offers some excellent views of Hanuman Tibba, Indrasan, Deo Tibba and other peaks. The whole trek is full of stunningly beautiful pastures on both sides. In summer and monsoon, the pasture grounds turn yellow with flowers. Once you cross over towards Manali, you can see the beautiful Beas valley from the top, It all makes for a fantastic time spent outdoors. There are plenty of opportunities to catch a glimpse of the varied Himalayan birdlife here. Holi is a small and beautiful valley town situated on the bank of Ravi River. From there we move to Nayagram and Laakewali Mata three kms ahead from Nayagram. We spend the day here for sight seeing and acclimatization. We will descent for 500 Mtrs and will cross a small suspension bridge then move ahead to Urna village. After crossing a small Nallah near Urna then trail goes to Khrudu through ropeway. We will rest and have lunch here then will move ahead through after crossing the Nala by a log bridge locally called Trangdi. The path climbs steeply for 1Km over a spur to reach the remote village of Dharadi. Dinner and overnight stay here in camps. The trail onwards crosses steep rock faces above the the Ravi river, with tricky sections that need special care. In 4 -5 hours we reach Khanar Village. From there the path climbs steeply through wooded slopes to reach the crest of a spur where huge conifer trees are seen; a traditional resting place for travelers. The path is now well-defined and leads down through the trees to a small lake surrounded by green slopes; this is a Gaddi shepherds' encampment, a soothing place after two days of tough trekking. We camp here today. Bara Bhanghal is most remote area of Kangra District. Continuing Ravi River in grassy meadows, a level walk ensues to Bara Bhanghal. The old village is situated a little above the river while the newer one is seen on the right bank. Bara Bhanghal is a small valley lies in a bowl at the base of three high ranges, and many glacier torrents join near the village to form the Ravi River. We camp outside the new village along the Ravi River. Full day rest at Bara Bhanghal, visit both sides of the village and enjoy the day. Bara Bhanghal to Dal Marhi is appox 8 Kms trek. The trail now continues upstream along the Ravi river into the deodar forest. We camp here tonight. Most of path then is flat with few ups and downs. Then trek goes through dense oak and birch forests crossing Kaliheni Nallah and reach Devi ki Marhi campsite. We camp here tonite. Devi ki Marhi to Base Camp is 4 km trek. Some peoples go directly to cross the pass. A steep ascent across glacier and beautiful glacial lakes will bring you to the camp site at Base camp. Alyas Base camp to other side base camp over Kaliheni Pass trek is totally dependent upon the weather and physical condition of trekker. If weather conditions are bad we will wait for clearing the sky. We start early in the morning around 5:00 am to ensure that the snow is frozen for easier walking and return back if we are not able to reach the pass before 12:00 pm. 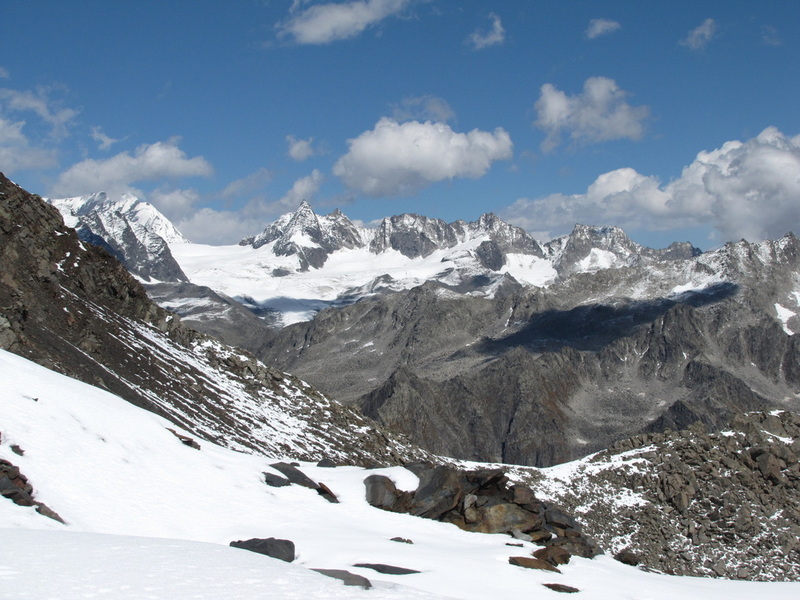 Two small peaks, Lantern (5067m) and Thamsar (5078m) can be seen on either side of the pass. Take time off at the pass to get a splendid 360 degree view of hanging glaciers, the Pir Panjal and Dhauladhar rangees then proceed downwards to reach the second base camp where we camp tonight. After breakfast, we move to Riyali. The trail proceeds over open meadows followed by a steep descent to a stream. from there it is a steep climb for about three hours till we arrive at the Riyali. We will catch views of Deo Tibba and Indrasan peaks from the campsite as we camp here tonight. We start our trek after breakfast. As we descend we will see different types of alpine flowers welcoming us. 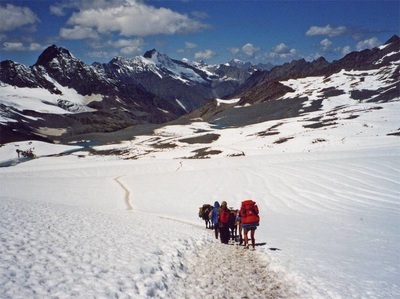 The trail takes us to a ridge and traverse it to enter an alpine plateau studded with thick growth of alpine flowers. We will have magnificent glimpses of Manali from here situated on the bank of River Beas and the whole upper Kullu valley swathed in different colors of the season. We camp here tonight. Early in the morning we move ahead toward Manali. We Keep water bottles handy as there is no water point in the way. After reaching at Manali we have sumptous dinner and leave for our hotels with fond memories of the trek. Click here to know more about whats included in your package and what to pack?